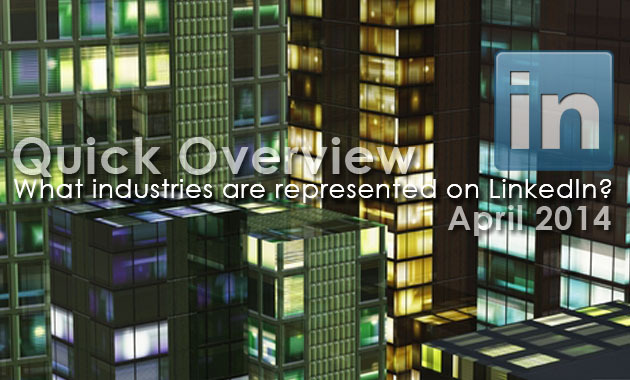 This is an update of the Quick Overview: What industries are on LinkedIn? post I did in August 2013, looking at how many profiles are retrieved for each of the 147 industries on LinkedIn. There are now 250,000,000 members on LinkedIn (LinkedIn About Us (Accessed 28 April 2014)), in Australia there are now over 5 million LinkedIn members (LinkedIn Blog, LinkedIn is 50 million strong in Asia, and counting! (Accessed 28 April 2014)).